Thought this was cute, especially with Valentine’s Day coming up. 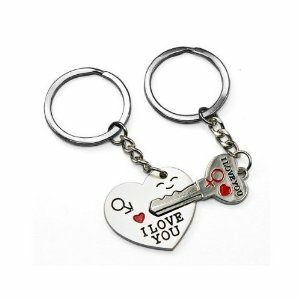 Click here to visit the Amazon site and you’ll be able to score a “I Love You” heart & key couple key chain for $1.47 (Regularly $8.99). They’re also offering free shipping. You can click here to view more of Sodial’s deals.